Whats the relationship between loot and looking? Between booty and beauty? 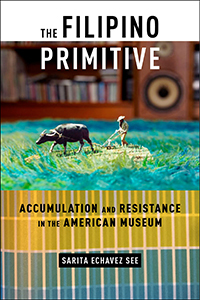 Sarita Echavez Sees book The Filipino Primitive: Accumulation, Resistance, and the American Museum (NYU Press, 2017) is a counterdisciplinary study of the epistemological, aesthetic and curatorial politics of collecting things and people. See examines the concept and processes of accumulation and dispossession in the imperial American academe and museum, and then provides examples of counter-accumulative cultural practices in Filipino American theatre, writing, and visual art.